To make tag cookies, you can use just about any shape and then use a straw to cut out a hole on one side of the shape. For these particular cookies, I used the tea bag cutter from That's A Nice Cookie Cutter designed for me to complete the Tea Time for Mom Decorated Cookie Collection. It has a tag hole built right into the cutter. Combine a small amount of vodka (or clear extract, i.e. almond extract) with royal blue and red rose elite dusts separately to make blue and red "paints". Brush the paint roughly over the cookie making sure it is not uniform in order to give it that rustic, primitive look. Then....here's the fun discover......use a small knife or thin flat surfaced tool to scrape random parts of the painted color off the tag. 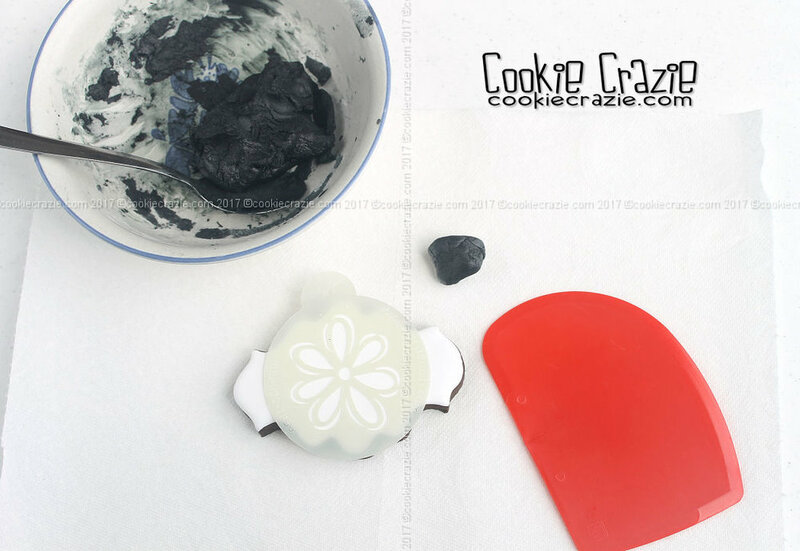 Allow the cookie to dry for at least an hour and then outline and flood the shape over the top of the painted surface. If desired, you can add an aged-look to the piped shape once it has dried overnight by brushing it with dry brown dust. Recently I've been trying to use some of my stencils on cookies without using an airbrush. I tried many techniques and none of them were working consistently. I decided to try glaze once again, but thickened it more than I had in the past to see what I could do. And here are my results. :) It surprised me. 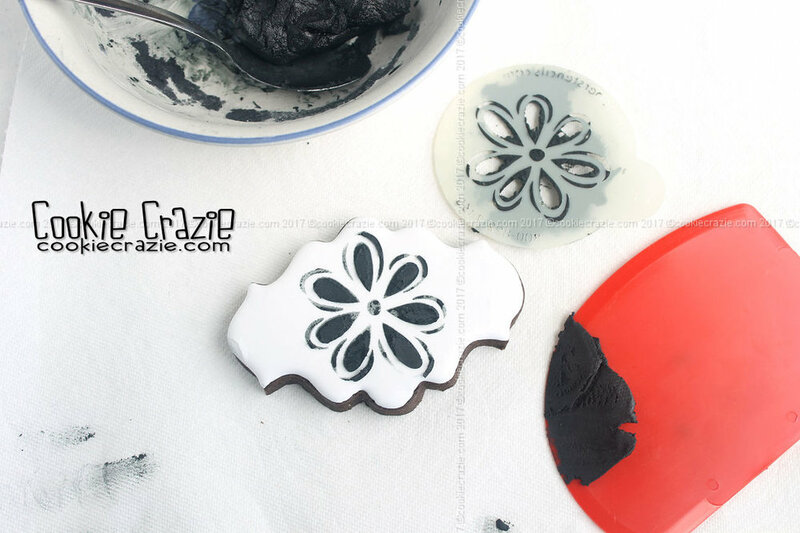 It's totally possible to stencil with glaze! The consistency is important. The very thick (even moldable) glaze I used during this project was actually too thick. Even though I got it to work, it would have been easier if it had been a tad bit thinner. It was very difficult to spread this thick, clay-like glaze evenly across the stencil. Plus, it was so elastic, it didn't want to break away from the stencil when it was pulled up. Add powdered sugar to glaze until it nearly comes together like clay. But make sure it is still sticky and not too thick. A friend described it as pasty, thicker than toothpaste, but not moldable.